It is Wednesday! 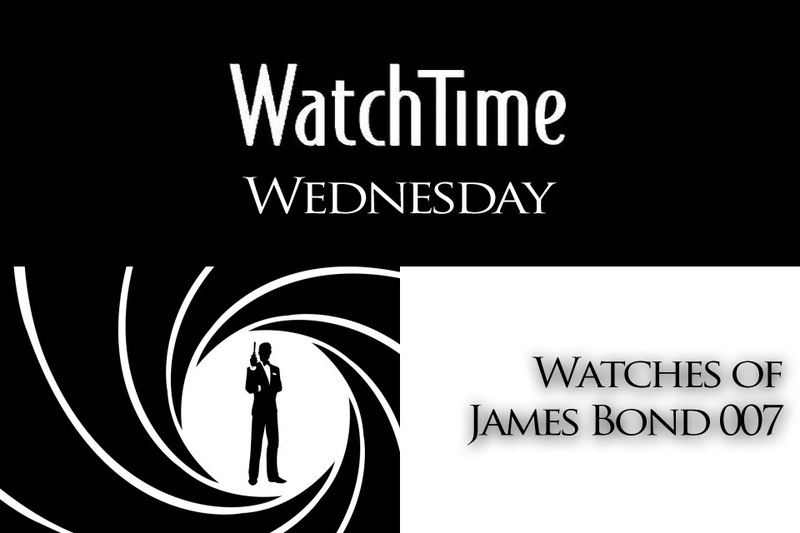 We continue our series of articles: WatchTime Wednesday! Together with watchtime.net (the German website related to two German (print) magazines, called Uhrenmagazin and Chronos), we are going back in the past, with the ancestor of quartz, the TUNING FORK watches. 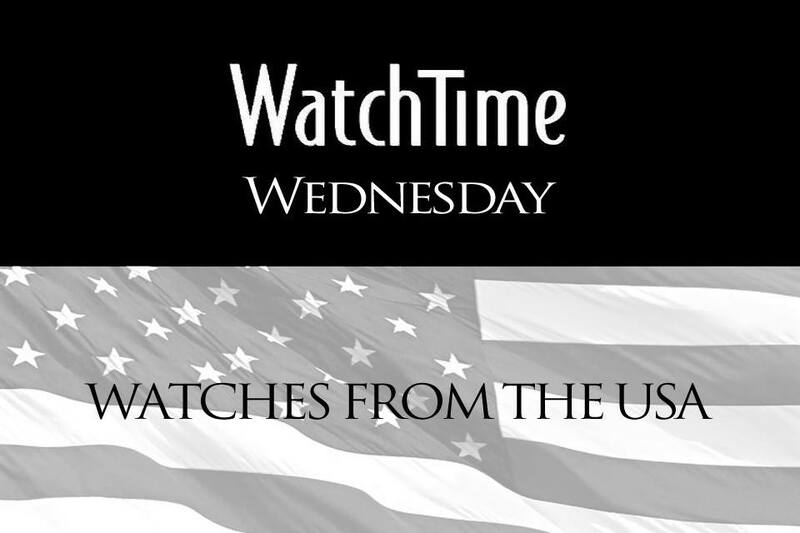 Watchmaking’s eternal pursuit of precision has produced a wide variety of technologies. After mechanical watches and before the invention of quartz movements, we find a curiosity highly popular today among collectors: watches with a humming movement, a phenomenon that lasts from the end of the 1940s until the arrival of quartz crystals at the end of the 1960s. 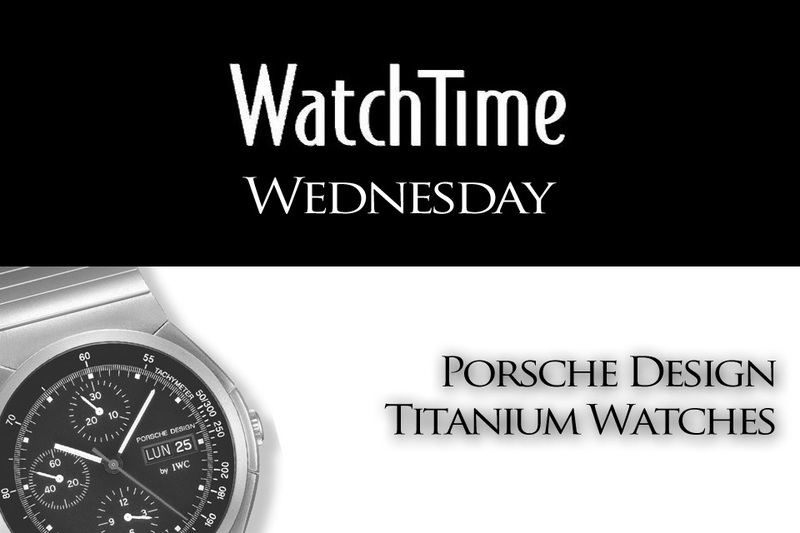 As everyone knows, watches tick – whether quartz or mechanical. But it turns out that not all watches in fact do so: during the 1960s, people were used to something different. A well-adjusted tuning fork sounds like a mosquito. This precursor of Quartz was used in several watch models, led by the Bulova Accutron, the first wristwatch sold with a functional tuning fork. With the slogan “The Watch that hums,” Bulova brought its watches to men’s wrists – and even into space. 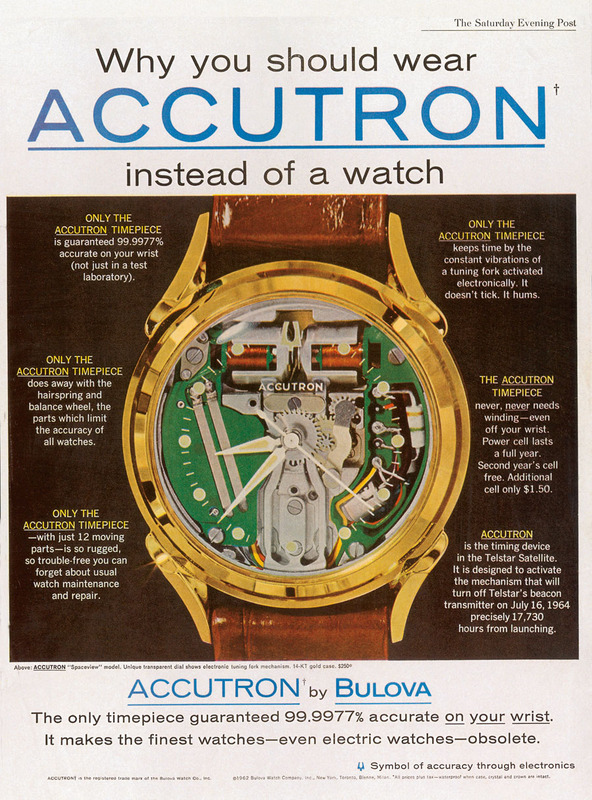 The Bulova Accutron ‘Spaceview’, made only for the showcase, but which became a real bestseller. This open dial Accutron allowed a deep insight in the mechanics, showing the tuning fork and coils. Hand winding and automatic watches were the norm during the 1950s. But they required frequent maintenance and true watchmaking skills, and for a result that was even so, not always precise. The solution to those issues is implemented now, with electronic watches. But at that time, forerunners of today’s quartz watches were only prototypes, far from any possible mass production. The watch industry was working on alternatives, especially the Swiss-American manufacture Bulova, who employed a physicist from Basel, Max Hetzel, at the end of the 1940s. 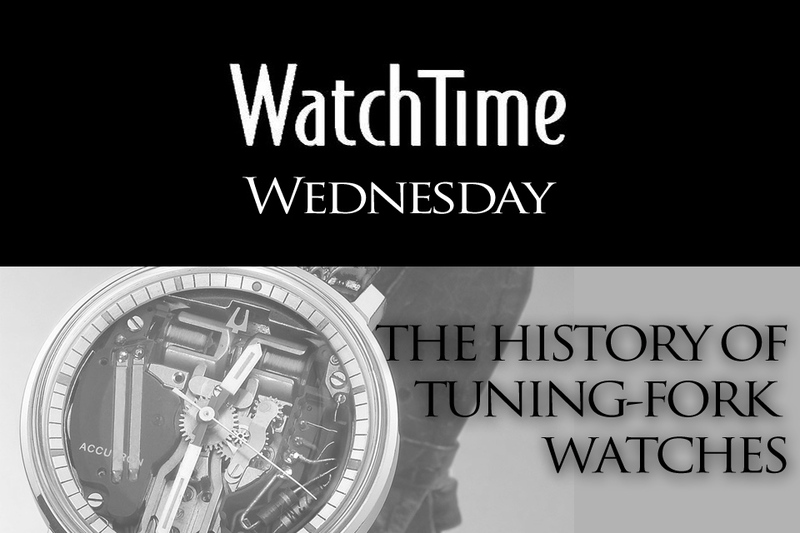 In June 1953, the first prototype of a tuning fork watch started running. While a mechanical watch uses a mainspring and a balance wheel, Bulova came up with a battery that makes a tuning fork vibrate – the tuning fork replaces the balance wheel as a regulator, powered by electromagnets attached to a battery-powered transistor circuit. The vibrations of the tuning fork are impossible to see – the Accutron’s frequency is 360Hz; later models from other brands vibrated at even higher frequencies. 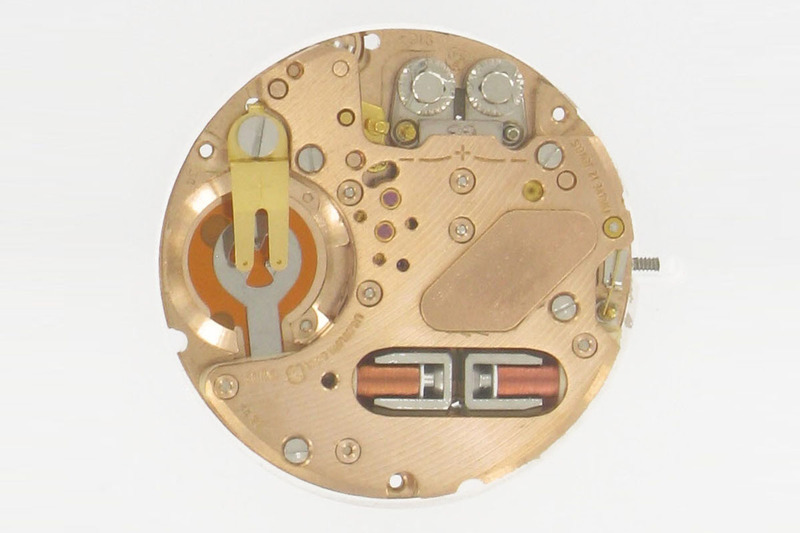 The mechanism is very small compared to a conventional watch mechanism, and is virtually invisible. A tooth of the ratchet wheel measures 0.025 mm in width and 0.01 mm in height. The wheel itself has a diameter of 2.4 mm and carries 300 teeth. The material used here is beryllium copper, which can be easily milled, especially in such miniscule size ranges. Bulova’s first tuning fork was the 214. Only a few components were needed, compared to a mechanical watch: a transistor creates electrical impulses in order to activate two coils. One of these coils has a measuring capacity which determines, together with the resistor and the capacitor, the amount and timing of the current pulse. This control of the amplitude allows for tremendous accuracy – the maximum deviation value is one minute per month, but is usually well below that. During the 1950s, this was an important quantum leap, as most of the mechanical watches were far from that accurate, and thus not reported as chronometers. The astonishing feature: the cooper wires of the Accutron’s coils were as thin as a human hair and measured almost 200 meters in length. Bulova also came out with a special model of the Accutron, which is one of the most collectable one nowadays. The Accutron Spaceview in 14K gold was originally made for merchants eager to offer an eye-catcher in their displays. Unlike the standard models, it came with an open dial that showed the tuning fork and other technical parts. The brand’s logo and indexes were printed on the inner side of the mineral glass. This model was so much in demand that Bulova quickly decided to produce it for retail. The name of the pioneering tuning fork watch is wisely chosen. “Accu-” stands for precision (accuracy) and “-tron” for electronic. It’s no surprise that the Accutron made its way into space. An Accutron with a 24-hour dial was used in the capsules of the Gemini program. The Apollo spacecraft was also equipped with Accutrons. 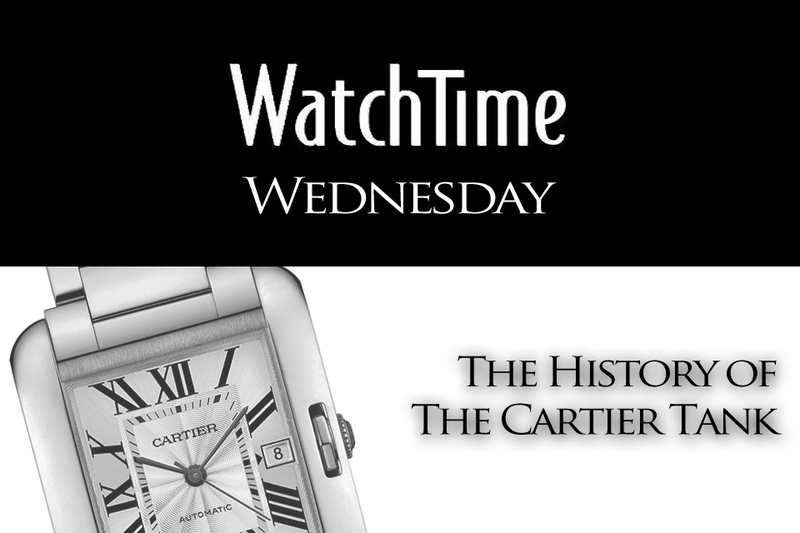 Its success was immense: several million watches were sold. Even German TV broadcasted the Bulova Accutron. In 1968, Heinz Haber, German physicist and aerospace medical consultant, in a show about myths and truths about space, showed how space technology could affect everyday life – viewers heard the sound of his private Accutron SpaceView through the microphone. Even nowadays, the Bulova SpaceView is highly sought after, as the price of the gold version can reach several thousand euros. Prices for stainless steel or gold plated models are significantly lower. Starting at 250€, the prices can go up to 500€, depending on the condition of the watch. However, spare parts are hard to find; only a few watchmakers have some of them – even the battery can be hard to replace. Originally driven with a voltage of 1.35 volts, only 1.55 volts batteries are available nowadays. Hopefully, the movement is robust because of the small number of parts and the low force acting on the wheels. 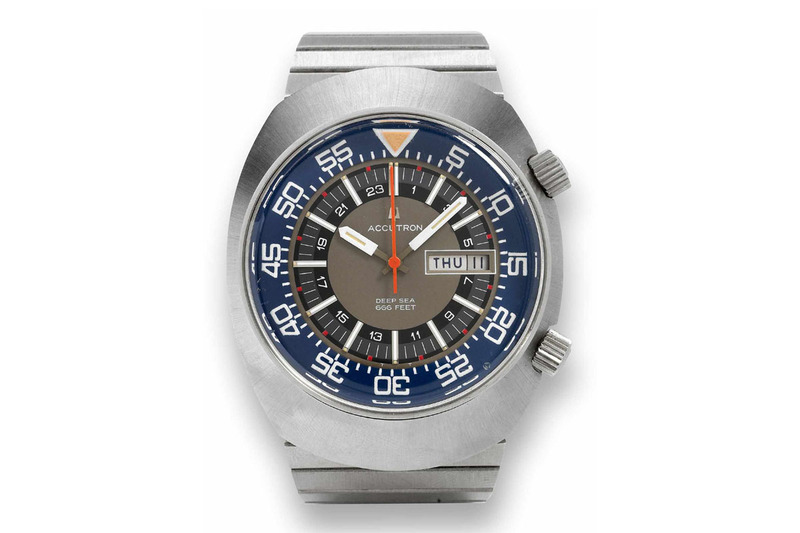 The history of tuning fork watches does not end with the Accutron. Although Bulova was the creator of the tuning fork, other brands used the technology. 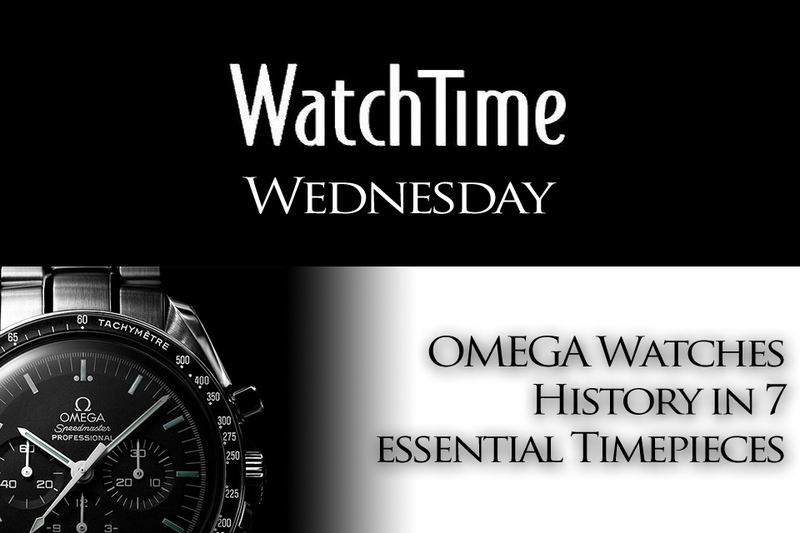 Above all, Omega’s 300hz series are the most well-known. Tissot, Longines and other Swiss or international brands used the tuning fork. Omega was using the ETA-ESA 9162, with the words “f300Hz” on the dial, but without the delightful insights offered by the Bulova Spaceview. The electronically controlled tuning fork drives a central second and a date complication. With a diameter of 13 lines (29 mm) and a height of just 5 millimetres, Omega’s calibre is compact. 12 jewels ensure long and trouble-free running. Models of this series are now rare and of course relatively expensive. Examples in running condition can go from a few hundred euros to more than 1000€ for mint watches. Condition, box or papers will of course affect the price as well. Both ETA and Bulova stopped the production of turning fork movements in 1977. 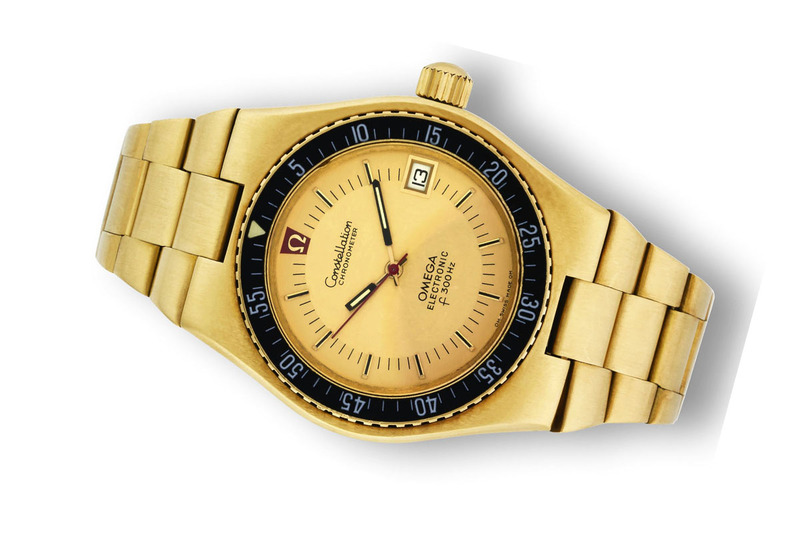 The climax of the tuning fork watches is the Omega 1220 MegaSonic, produced in 1973-1974. 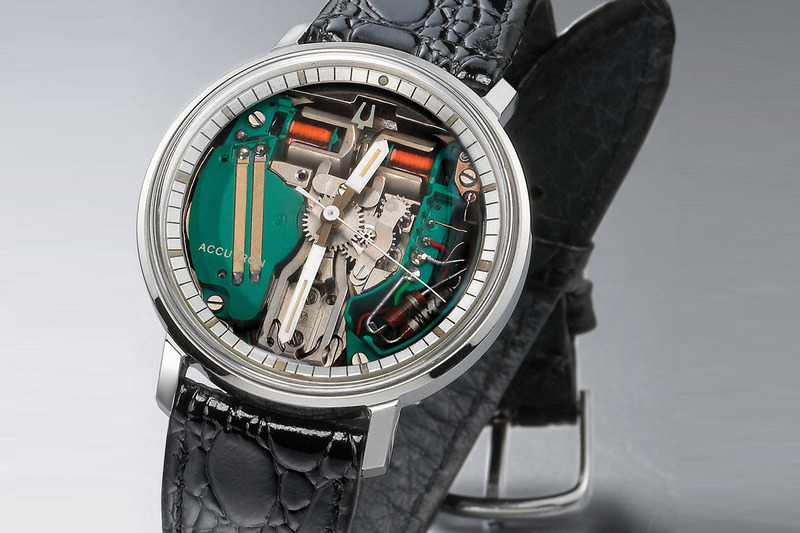 The MegaSonic had a frequency of 720Hz, which represents the double of a Bulova Accutron. The ratchet wheel is smaller and in contrast to other tuning fork watches, the movement is fully enclosed. With a diameter of 1.2 millimetres, this wheel has 180 teeth (vs. 2.4 mm and 300 teeth in a 360Hz movement). The power transmission to the gear train is also very innovative: a magnetic clutch transfers the energy without any contact points. This technology is rare today, almost unique. 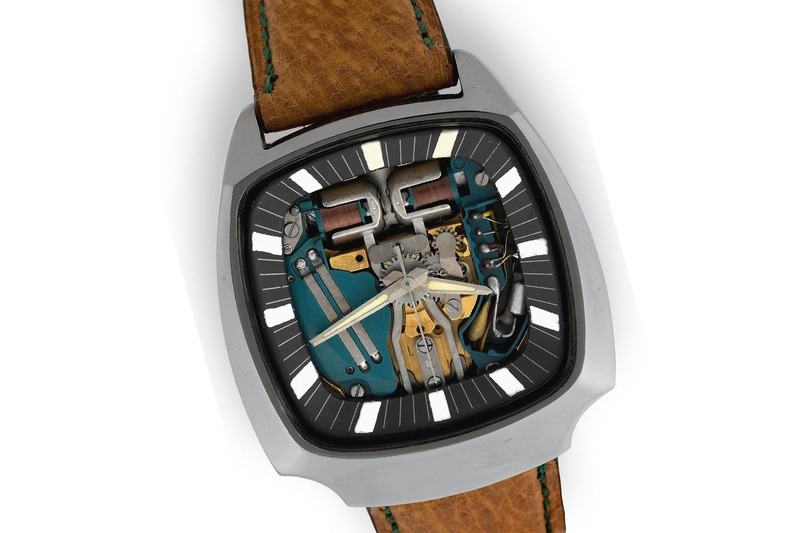 The MegaSonic is one of the rarest tuning fork watches and can be sold for 1,000€ or more. The retail price at that time was 1,000 Deutsche Marks – a huge amount if you consider that a stainless steel Bulova Accutron was priced at 300 Deutsche Marks. 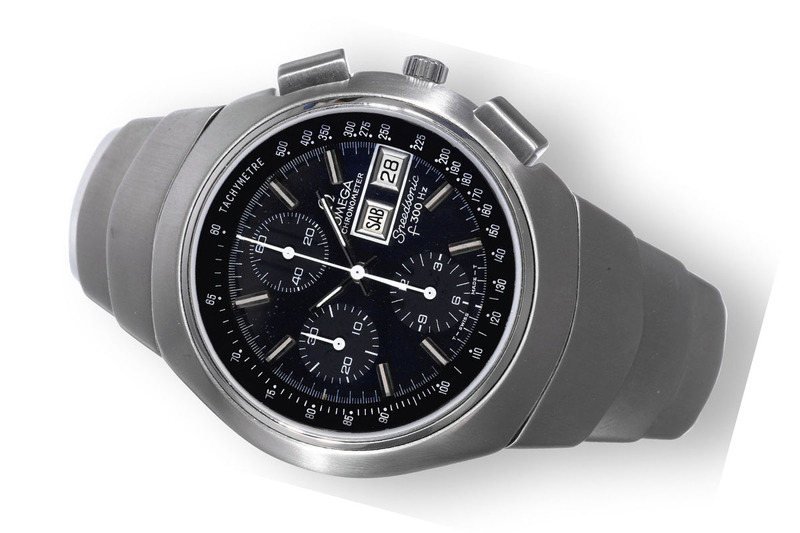 The Longines was also priced below the MegaSonic, at around 600 Deutsche Marks. The late 1970s saw the end of tuning fork watches. Another technology flooded the market: quartz, known to be cheaper and easy to produce in high quantities. A stepper motor also needs less energy and fewer parts to drive the hands, making the watch even cheaper to produce. But even now, the magic of humming watches has not diminished. One thing is sure: no one can forget this humming melody once the watch has been strapped on his wrist. Great read! I always wondered about these tuning fork modules. But duh, were they ever used in cars? My wife gave me an early ’70s Omega for my 50th birthday 3 years ago. I wasn’t familiar with this movement at the time. It’s one of my favorite watches to wear. Guys get excited when they notice it for what it is. Doesn’t happen often though.